Do you love Dr. Who? My daughter MaKady is a huge Dr. Who fan. My brother and sister-in-law got her hooked on it several years ago when she stayed with them for a couple of weeks during the summer. She has been obsessed ever since. 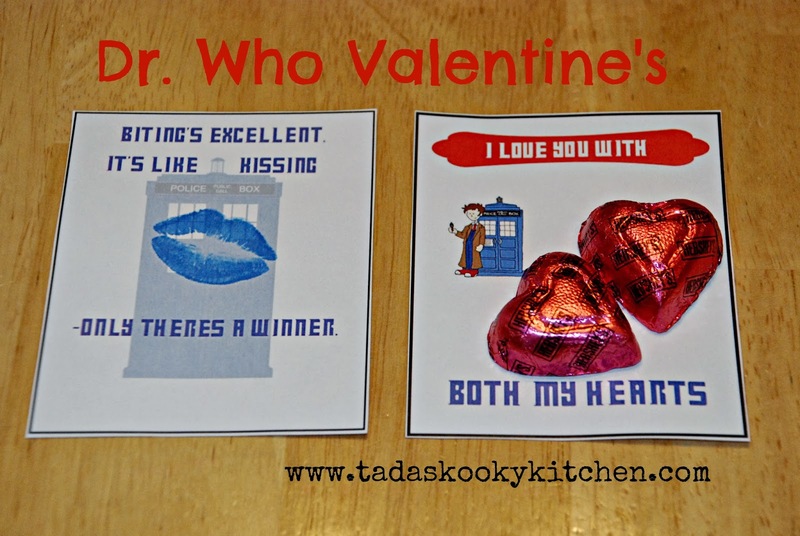 This year she wanted to make her own Valentine's with a Dr. Who theme. Here is what she came up with (she designed them and has given her permission for me to share them here on Tada's. I am amazed at the things teenagers can do these days). 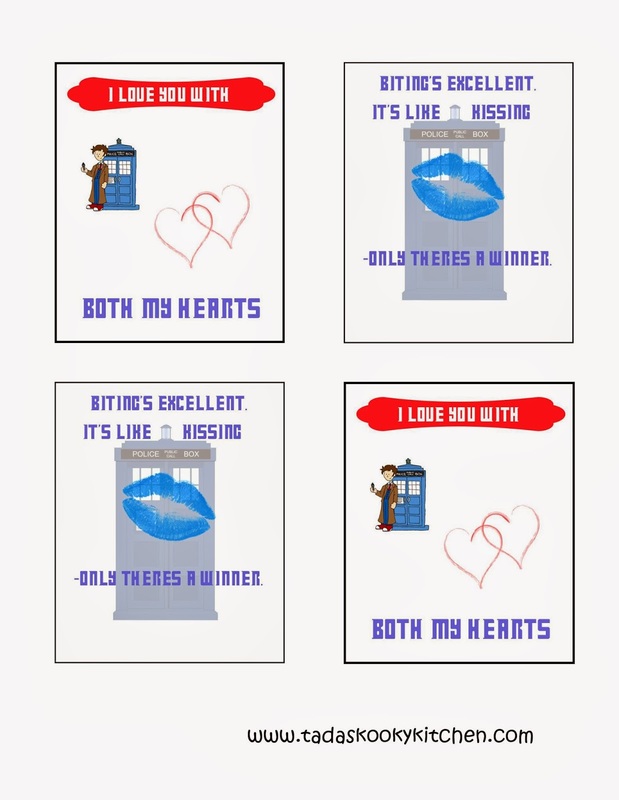 She designed 2 different cards with a couple of her favorite quotes from the show. 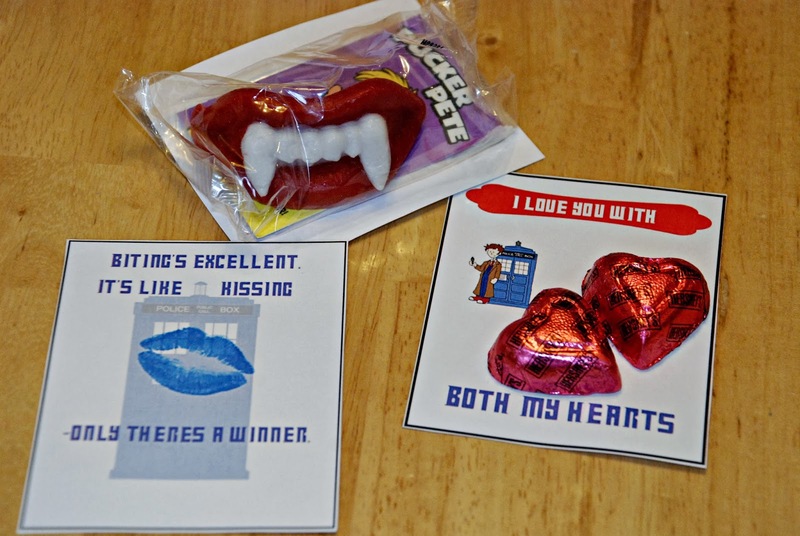 We printed them out on card stock, then we glued chocolate hearts to one and we found some wax teeth at our local party store that we glued on the back of the other one. She can hardly wait to hand these out to her friends for Valentine's day.